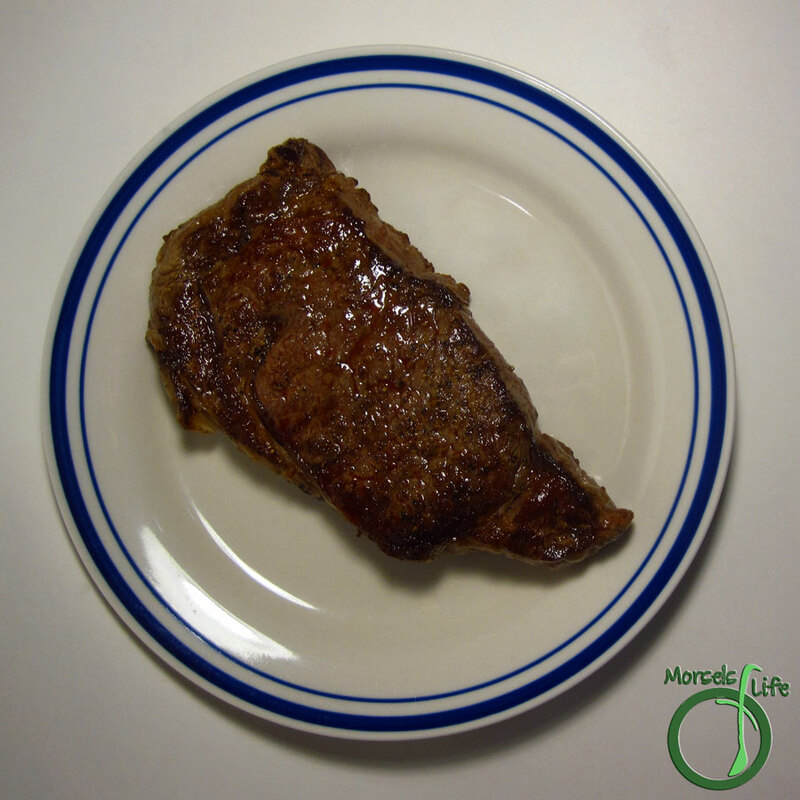 A super easy way to make tender, juicy, and flavorful steak at home! We'd never made steaks at home before. In fact, we don't usually buy steaks to make at home. But there's a first time for everything, right? I thought it'd be a long and/or arduous process. Let me tell you - wrong on both counts! In fact, this steak recipe was so simple and straightforward James made it on his own - and didn't even ask for help! And since apartment living doesn't allow for grilling, he made the whole thing using the stovetop/oven. The final result? 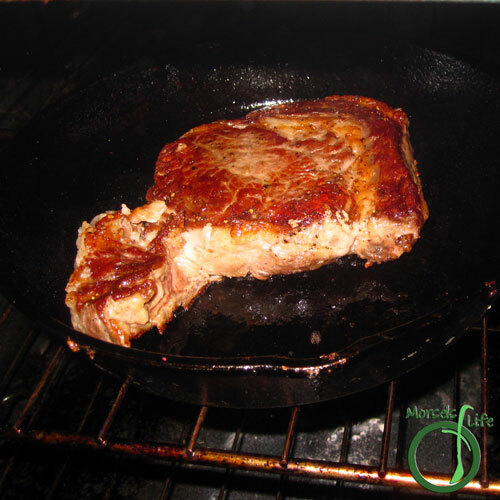 Tender, juicy, and flavorful steak in the comfort of your own home! 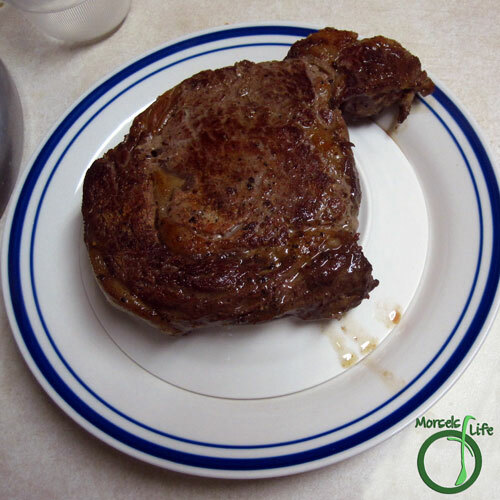 Which do you prefer - steak at home or steak in a restaurant? 2. 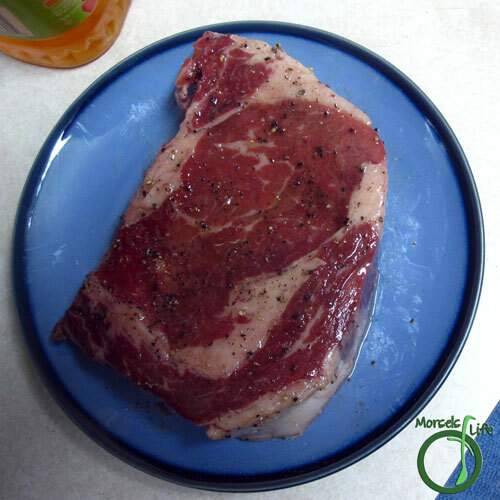 Spray steak with oil and season with salt and pepper. 3. 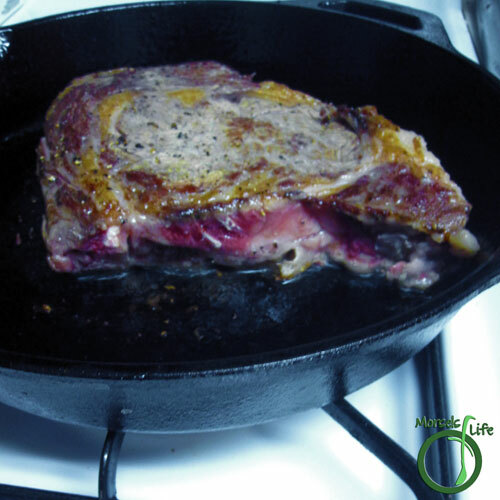 Place steak on hot cast iron skillet for about 30 seconds. 4. Flip over and cook other side for 30 seconds. 5. Place whole thing in a 475F oven for about 2 minutes on each side. Adjust time as needed for level of done-ness. 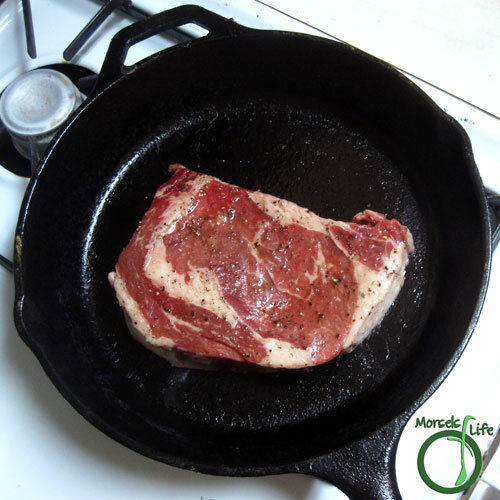 2 minutes on each side will result in a medium to medium rare steak. 6. Stack a small place upside down inside a larger plate, and place the steak on top of both plates. 7. 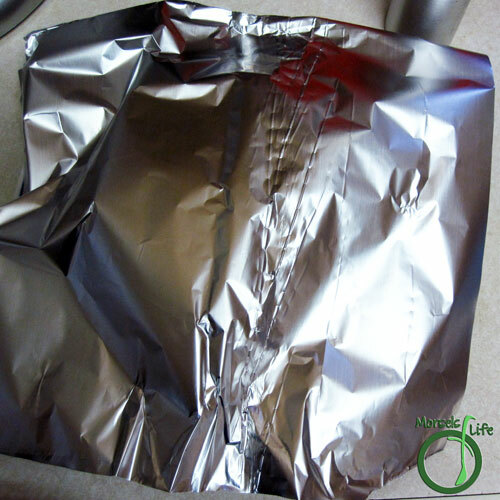 Cover loosely with foil, allowing steak to rest. Hmmm - I'll have to give this method a try. The steak looks so good! Thanks for sharing on the What's for Dinner link up! This is a fabulous technique that I love to use myself! Thank you for sharing it with the Delicious Dishes Recipe Party! It's a great method, isn't it? Simple and delicious! I love steak. This looks delicious! Thank you so much for linking at #overthemoon! I look forward to seeing what you share every week. Please come back for #WonderfulWednesday or #ThursdayFavoriteThings. Don't forget to comment your link #'s so I can be sure to visit and you get a chance to be featured! Pinned and shared. 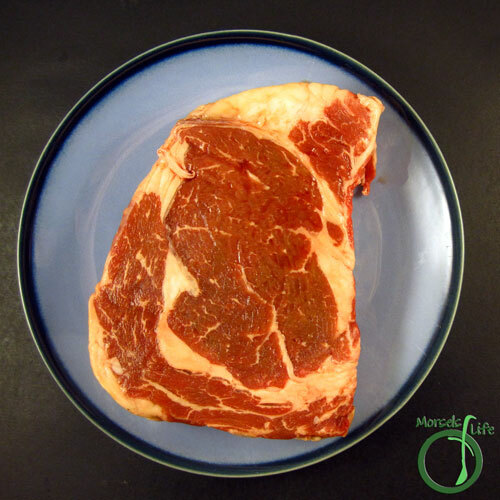 Have to love steak :) Thanks for linking up at #SustainableSundays!